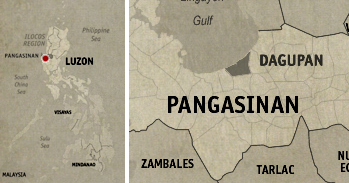 Where to go next was really not the question that was being asked during our recent Dagupan tour, but rather, where to eat next. Our trip was becoming more and more like a food tasting trip rather than a sight-seeing tour. Our next stop only proved it to be so. 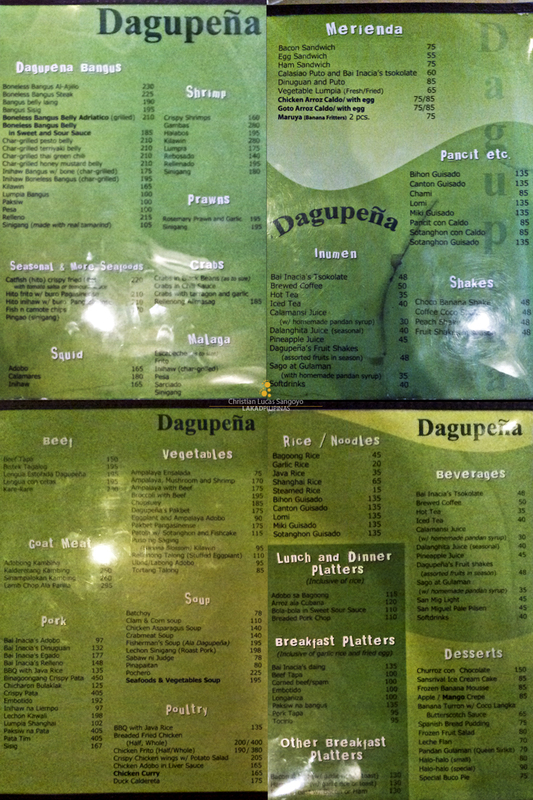 We’re going to one of Dagupan’s pioneer food place, Dagupeña. Founded in 1928 by Ignacia Cahoha Bernal, this iconic restaurant started out as a small carinderia set up to support the education of her eight children. 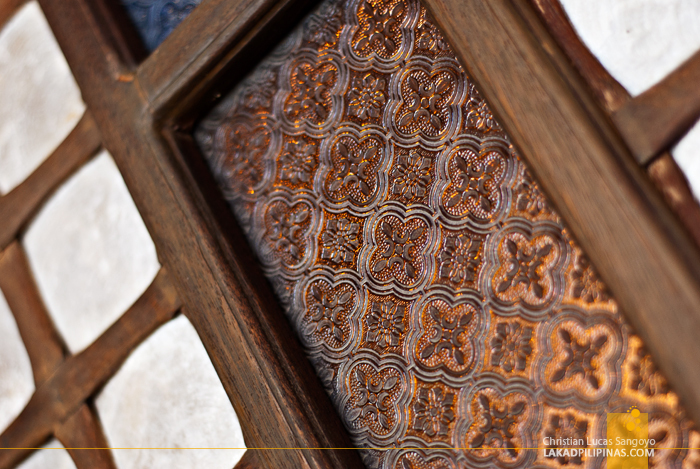 It grew through the patronage of not only regular Dagupeños, but also the prominent personalities of the province. A cook by heart, her daing, sinigang, egado, inasin and pinakbet became a legend in the region. And that legend was what we were after. Rising quite late after a night of stories at Hotel Le Duc, we arrived at Dagupeña just before lunch. An hour later more and we would probably have to wait for vacant seats. 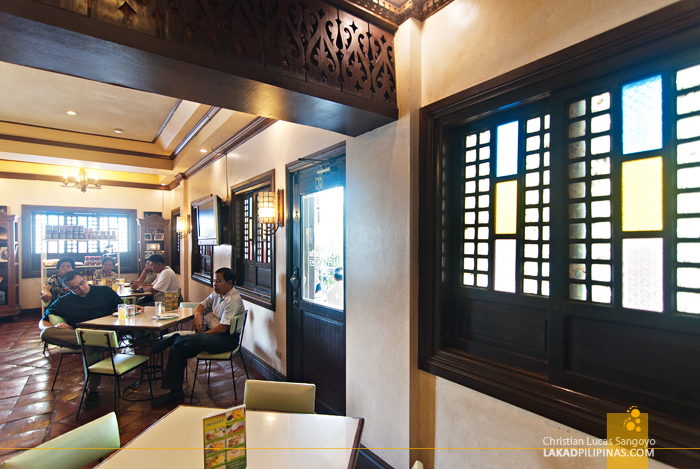 Although technically, the current location of the restaurant is in the town of Calasiao, the restaurant’s popularity in Dagupan is still quite legendary. 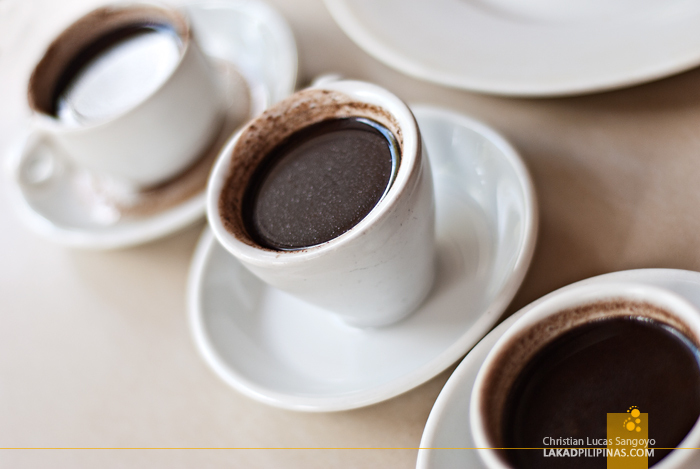 For starters, everyone except me ordered a cup of Bai Inacia’s Tsokolate (Php48.00). These came in mini cups about two inches high. At first, I thought the serving size is a tad too small, but when I tried a sip, I found out why. This chocolate drink is super thick and very strong, it’s like drinking an espresso version of a hot chocolate. 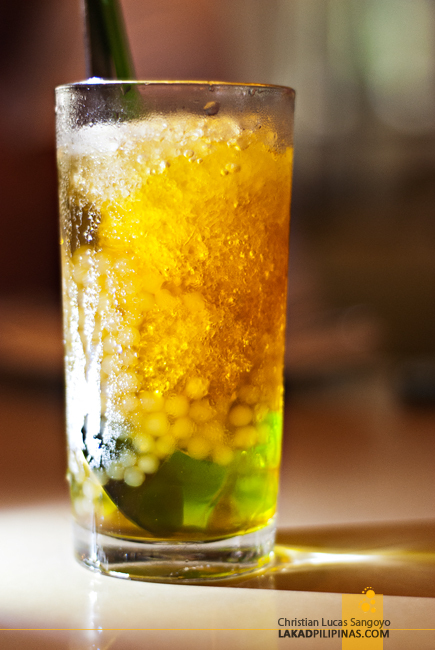 For myself, I ordered a tall glass of Sago at Gulaman (Php35.00) sweetened by homemade pandan syrup. The day was getting hot, so I thought a cold drink would be a more suitable choice than a hot one. To be honest, I find it to be so-so, but for its price, it wasn’t too bad, I guess. 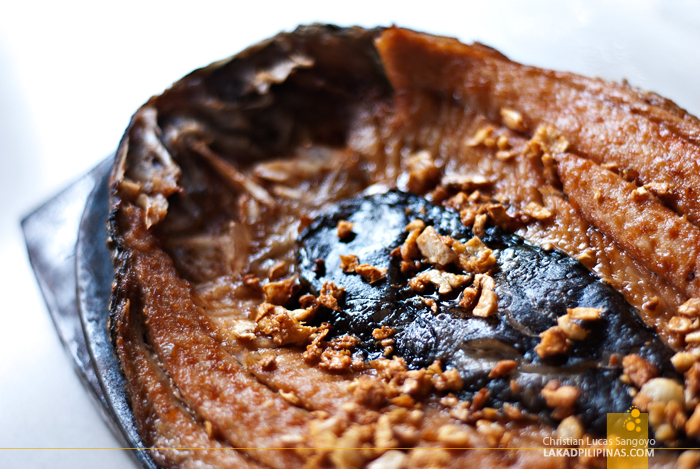 The official dish of Dagupan was up next; Boneless Bangus Al-Ajilo (Php230.00). Serving size is above average and the whole fish was sprinkled with crushed garlic. The meat is really tender, with its outside edges on the crispy side. It was cooked just the way I liked it. And you can tell how popular it was with our group, the belly part was gone faster than I can say yummy! To balance things out, we decided on ordering something with soup. 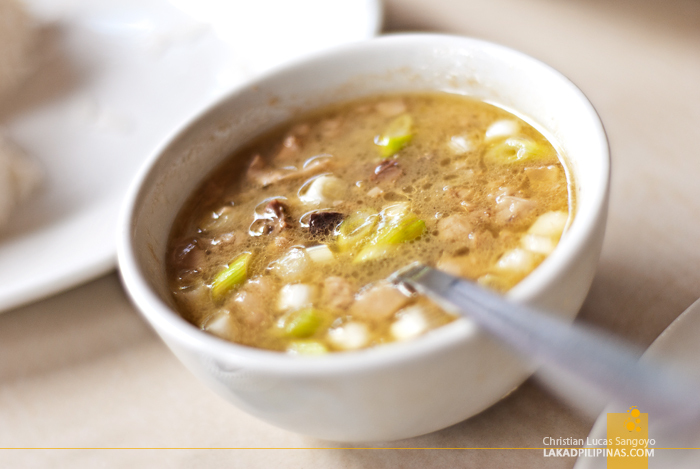 But not just any other soup, we wanted something with a local flavor. 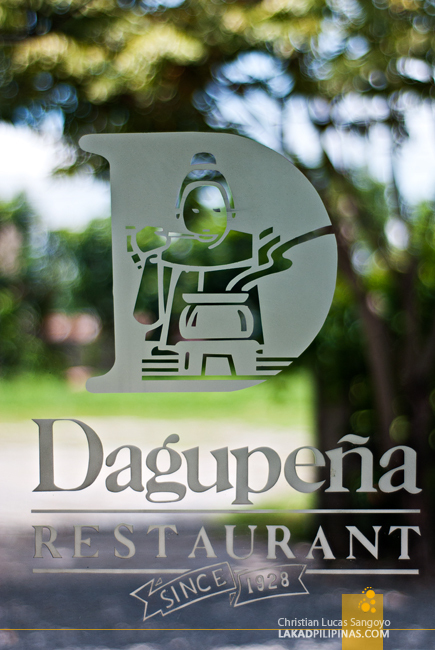 M recommended Dagupeña’s Pinapaitan (Php80.00), and we quickly agreed. For its price, I was expecting something a bit larger in serving. Instead, what we got was a small bowl swimming with goat innards. It looked and tasted sinful, and it probably was. It’s wasn’t a bad choice to compliment our meal. But what really led our hungry mouths at Dagupeña though wasn’t any of those. 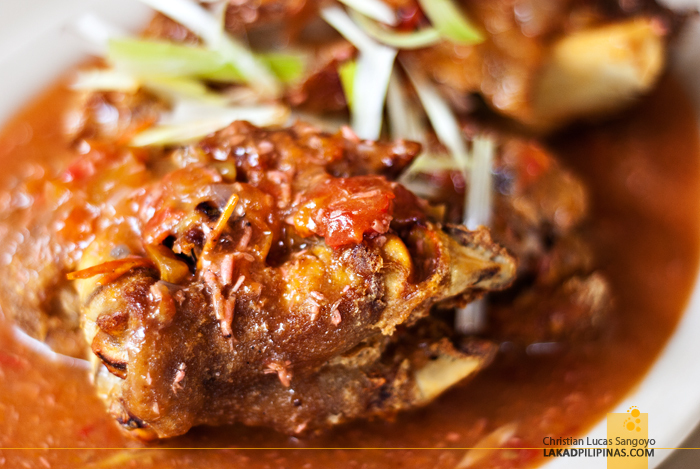 It’s their Binagoongang Crispy Pata (Php450.00). It has quite a hefty price tag, but once it was plunked down our table, we immediately saw why. The serving size was totally colossal! I like the concept of this dish; it’s quite similar to Lola Idang’s Crispy Binagoongan, only on a more massive scale. The skin is crispy, as is expected of the dish, and its meat, very tender. The usual soy vinegar dip is not present since the whole portion is already lathered with the binagoongan sauce. It is quite good and the only thing I kinda don’t like about it is the saltiness of its bagoong. But that maybe due more to personal preference since I like mine to be on the sweet side, like my lola used to cook it.